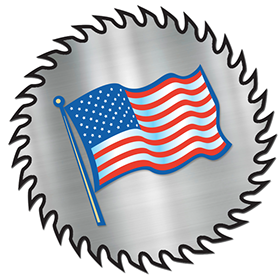 American Saw And Products, Inc.
American Saw and Products provides you high-quality carbide solutions for all your cutting and sharpening requirements. 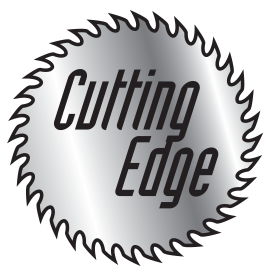 We are proud to offer our full line of custom, American-made saws for every cutting need. Our professionals will help you design the perfect solution for your operation. Whether the situation calls for solid carbide blades, mill cutters, attachments, or simply resharpening. American Saw and Products works with you to solve your problems. We will provide high quality, competitive pricing and superior service to all customers…We will assist our customers by providing a network of support to solve problems and make your jobs more profitable…We will work together with our customers and vendors to keep America working. Carbide (or more specifically tungsten carbide and titanium carbide) is a very common material on any sort of cutting tool: For example, saw blades, lathe bits, drill bits, router bits and dental drilling tips are generally made of carbide. Carbide is so popular in these sorts of tools because it stays sharper longer than most other materials. With American Saw & Products carbide-tipped saw blades, the main body of the blade is made of steel. The small tips of carbide are brazed on to the body. A good carbide tip might hold an edge ten to twenty times longer than a tool steel tip. Carbide tips do get dull eventually. We sharpen them using the same techniques you would use with tool steel, but because they are so hard, a different abrasive is used. Something coated in diamond or a carbide abrasive wheel is common. Today’s American-made tools aren't made entirely of carbide partly because it would be very expensive, but also because the tool would be very brittle. Steel is actually a better material for the body of the tool because it is tougher and will not crack or shatter. ©2018 American Saw And Products. All Rights Reserved.